Yesterday was a big win for West Virginia in the playoff race, as they remain a half game ahead of Hickory for the second playoff spot in their division. Tonight they go with Tyler Glasnow on the mound, while Indianapolis throws the other top pitching prospect, Jameson Taillon. Indianapolis had off yesterday. The DSL regular season ends on Saturday. Check out the Recent Transactions section to the bottom of this page, for all Pirates minor league transactions. A full recap of yesterday’s action can be found here. The latest Dominican Summer League recap can be found here. Jameson Taillon will make his fourth start for Indianapolis tonight. Prior to the promotion to AAA, he went 4-7, 3.67 in 20 appearances for Altoona, picking up 106 strikeouts in 110.1 innings. In his Indianapolis debut, Taillon went five innings, giving up three runs on three hits and three walks. In his second outing, he went seven innings, allowing four runs on six hits and four walks, while striking out eight batters. In his last game, Taillon picked up nine strikeouts, going six innings with two runs allowed. Eliecer Navarro will make his 13th start for Altoona tonight. He made 11 starts and two relief appearances for Bradenton before joining the Curve. Navarro went 1-9, 2.86 in 69.1 innings with Bradenton, recording 62 strikeouts. On the year, he has thrown a total of 135 innings, giving up 119 hits, 12 homers and 40 walks. He has 110 strikeouts, an 0.69 GO/AO ratio and a .231 BAA. In his last start, he went 5.2 shutout innings, allowing three hits, two walks and he had seven strikeouts. Zack Dodson will get his 19th start for Bradenton tonight. He has pitched once in relief and also made a spot start for Altoona. 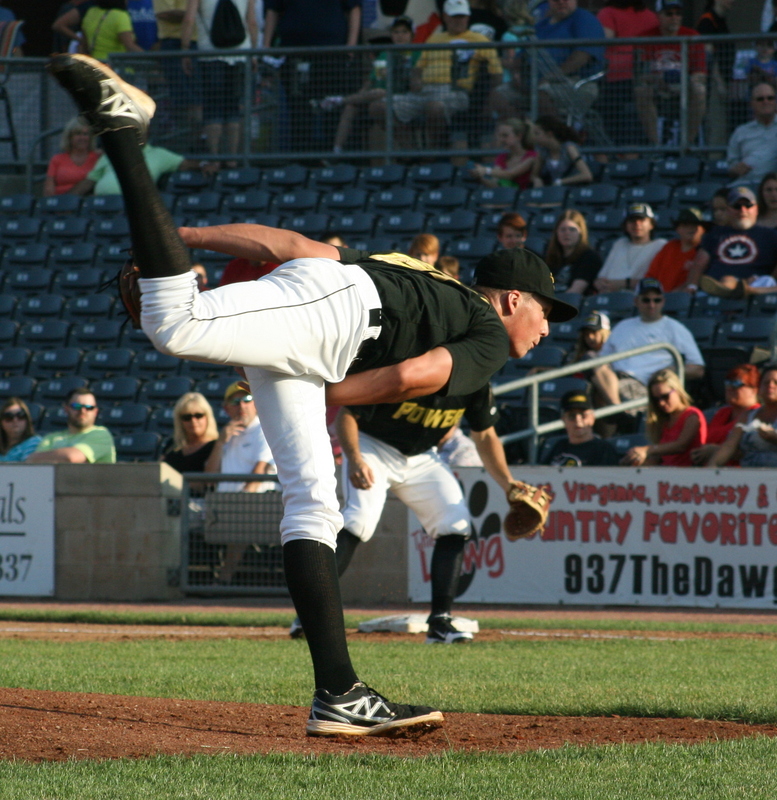 For Bradenton, he has thrown 99.1 innings, surrendering 104 hits, 11 homers and 35 walks. He has 46 strikeouts, a 1.22 GO/AO ratio and a .262 BAA. In his last start, Dodson went five innings, giving up four runs on seven hits and a walk. In his prior outing, he threw seven no-hit innings. Tyler Glasnow will get his 23rd start of the season tonight. He has thrown 101.1 innings, allowing 54 hits, nine homers and 52 walks. He has 147 strikeouts, a 1.20 GO/AO ratio and a .154 BAA. In his last start, he threw four shutout innings, allowing one hit, one walk and he had seven strikeouts. Glasnow had 12 strikeouts in his previous outing. He ranks first in the SAL in strikeouts and falls just an inning short of qualifying for WHIP and ERA leaders, categories in which he would rank third in each. Buddy Borden will make his first pro start today. The seventh round pick has thrown three times in relief, allowing one run on four hits and two walks over 4.2 innings. He has picked up nine strikeouts over that short time. Neil Kozikowski will make his sixth start of the season today. He has pitched 16 innings, allowing 12 hits, one homer, two walks and he has 10 strikeouts. In his last start, he threw four shutout innings, giving up one hit and both of the walks that he has issued this season. In his last three starts combined, Kozikowski has thrown 11 shutout innings. He threw three shutout innings on 8/5 against the Tigers. 8/20 John Kuchno added to West Virginia roster from Jamestown. Francisco Aponte sent to Jamestown. 8/19 James McDonald assigned to GCL Pirates on rehab. 8/19 Travis Snider assigned to Altoona on rehab. 8/19 Wyatt Mathisen assigned to Jamestown on rehab. 8/17 Candon Myles promoted to Jamestown. 8/16 Eric Wood placed on disabled list. Francisco Aponte promoted to West Virginia. Adam Landecker promoted to Jamestown. 8/15 Ali Solis sent to Altoona from Indianapolis. 8/15 John Kuchno sent to Jamestown. Jimmy Rider added to West Virginia roster. 8/11 Francisco Aponte activated from Jamestown disabled list. 8/11 Kenn Kasparek activated from Altoona disabled list. Ethan Hollingsworth placed on disabled list. 8/8 Kurt Yacko placed on disabled list. 8/7 Zack Dodson returned to Bradenton roster. 8/6 Zack Dodson promoted to Altoona. Kenn Kasparek placed on disabled list. 8/5 Jameson Taillon promoted to Indianapolis. Ethan Hollingsworth sent to Altoona. I was wondering if you knew what Altoona’s rotation would look like this weekend in Richmond? I know people get scratched/pushed/etc. but would anyone have a rough projection?